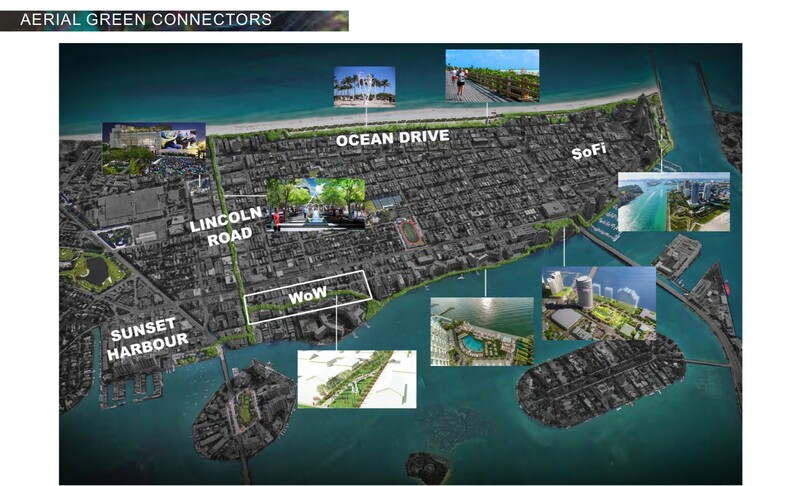 Developer Todd Glaser will introduce his vision for a West of West Avenue (WoW) District to Miami Beach City Commissioners at their meeting next week. Commissioner Ricky Arriola is sponsoring a discussion of a draft ordinance that would allow commercial uses in a 15.5 acre area between West Avenue and Bay Road from 14th to 16th Streets. Amending setbacks and allowing for lot aggregation is also part of the discussion. 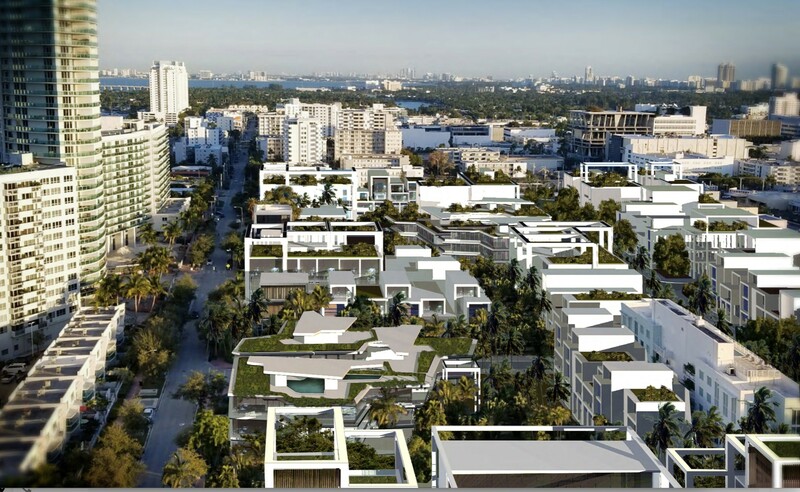 Francisco Llado and Robert Moehring, co-founders of DOMO Architecture + Design, have created mass and scale renderings to show what is possible in the area under the draft ordinance. 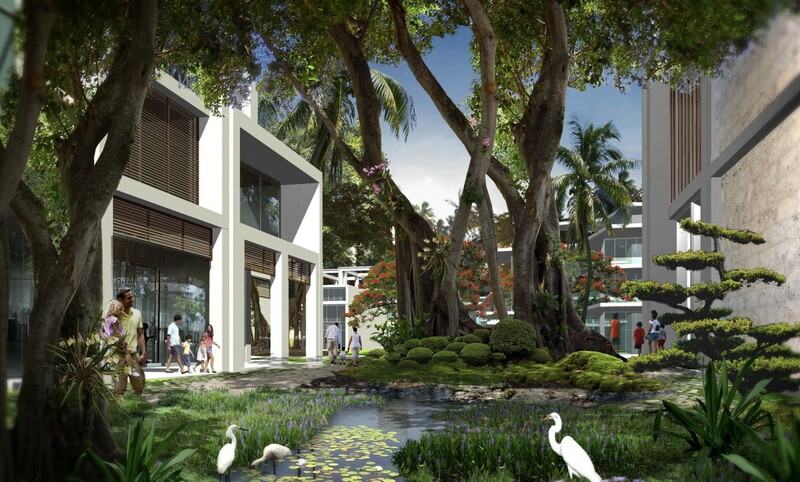 Note: These are not architectural renderings, rather an overview of types of buildings and green space potential. 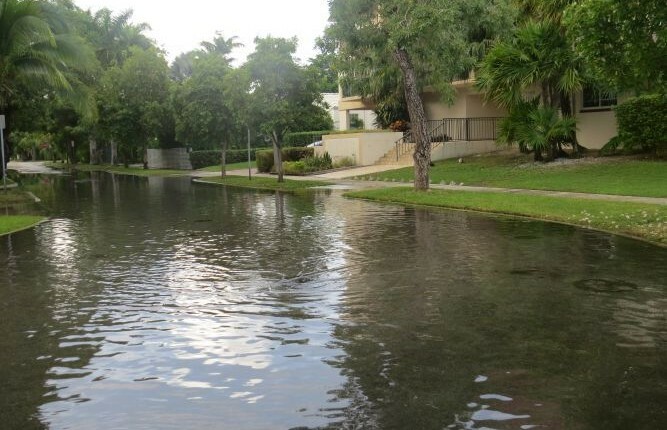 Glaser told RE:MiamiBeach in December that he wants to create a “city of the future but done in a way that is friendly to the locals," resilient in its construction and elevation, that includes green space with tropical plants and pavers but no curbs, and a promenade that meanders north to south along the three blocks with a central plaza and a fountain where kids could play with motorized boats while parents “read their newspapers and get a cup of coffee” in a café. Llado and Moehring told us via email they are working on the unit mix “based on a rough estimate of 500,000sf of total FAR.” FAR is floor area ratio or density. Their presentation shows a mix that is approximately one third commercial and two thirds residential. With an FAR of 1.25 and the potential different unit mixes, the total number of residential units “could range between 400-450 residential units,” they said. Glaser is not seeking any increases in allowable height. “We are proposing [a] ground floor boutique size commercial program facing the public street as well as the main linear park central artery to activate the pedestrian level and experience,” they wrote. 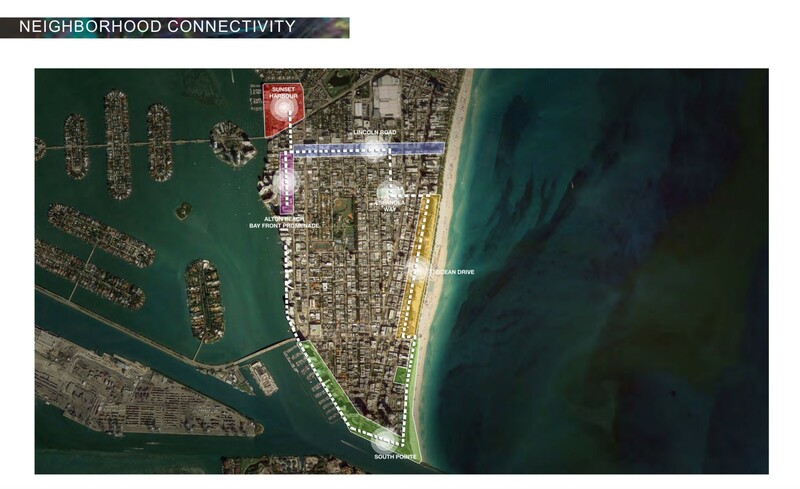 Glaser has said, in addition to cafés, he is hoping to attract businesses like art galleries to the area as well as green spaces that would run through the WoW District but also serve as connectors to the Baywalk and Lincoln Road as part of a citywide green walkway. For the green spaces in West of West, the architects are using the percentage guidelines in the City Code but turning them into “public amenity, public green spaces and promenades.” The total estimated area is to be determined. They noted, the project will be further developed over the next few days prior to the presentation to Commissioners next week. UPDATE: The Commission item with proposed ordinance is here. It has been given a time certain of 11 am. For a look at current conditions in the area, see our previous article with photos. 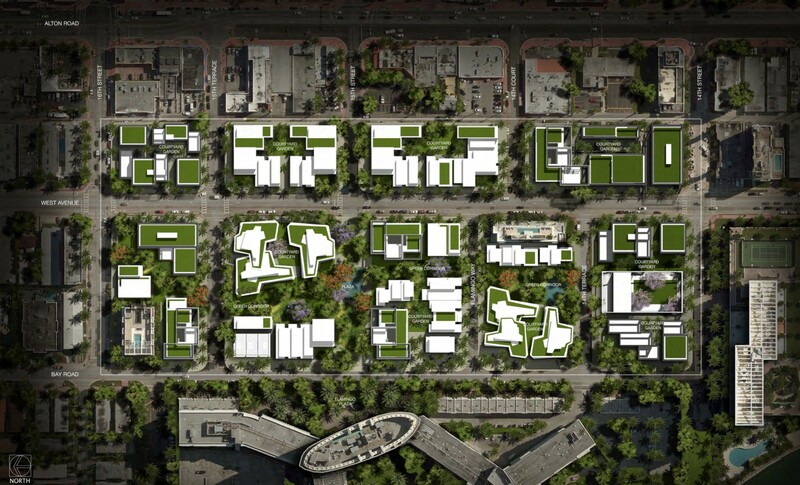 Glaser's vision includes green walkways within the West of West District that would become part of a citywide green walkway illustrated above. The walkways would create more neighborhood connectivity, Glaser says. Overhead view of potential mass and scale of a developed West of West District with a draft ordinance that would allow for amended setbacks, lot aggregation and commercial uses. North facing view, potential mass and scale study. To the west is the existing Flamingo apartment complex. Concept rendering of the green corridor as shown in the overhead view above.